With experience that spans more than 30 years, Dr. Larisa Turkenich delivers world class dental care to patients from all walks of life. 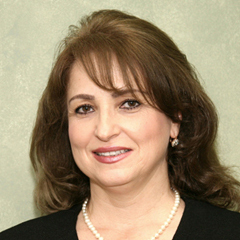 She started her career in the former Soviet Union where she was an integral part of a busy urban dental clinic specializing in comprehensive dental care, as well as cosmetic and preventative dentistry. Dr. Turkenich came to the United States in 1992 and in 1998 graduated from Boston University Goldman School of Dental Medicine. Since then, she has continued to help patients achieve their dental needs. Dr. Turkenich takes great pride in her work and finds dentistry to be a wonderfully fulfilling career. She enjoys helping people improve their oral health. She finds cosmetic dentistry especially gratifying as she has been able to change the lives of many patients who were previously unhappy with their smiles. In addition to her busy clinical schedule, Dr. Turkenich has completed multiple advanced continuing education courses which has enabled her to offer more treatments to her patients such as Invisalign®. 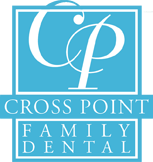 She is affiliated with various prestigious dental organizations including the American Dental Association, Massachusetts Dental Society, Middlesex Dental Society, and the American Academy of Cosmetic Dentistry. When not at work, Dr. Turkenich enjoys cooking, reading, taking long walks and spending time with her family. She is married and proud to be a mother of two sons. She has one grandson and one granddaughter.